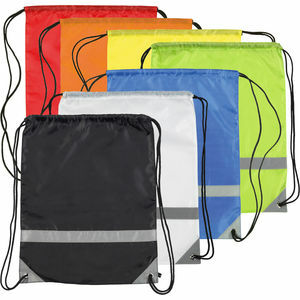 Good quality drawstring bag made from REACH compliant* 210d (nylon look) polyester with PU backing. Complete with reflective panel and corners and metal eyelets. Can be printed with spot colour or a full colour UV transfer print.